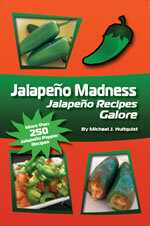 Getting ready for the Super Bowl and need some awesome jalapeno poppers? 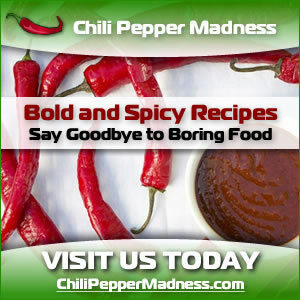 Or maybe you just need a fun and interesting side dish? Or maybe you just have too much ricotta cheese left over from last night's lasagna? 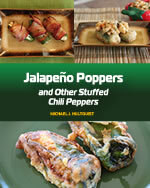 Here's a great way to spin your next batch of jalapeno poppers, and they're quite tasty. Heat a frying pan to medium heat and cook sausage thoroughly, about 7-8 minutes. Break apart and transfer to a mixing bowl. Allow to cool. To mixing bowl, add ricotta cheese, Parmesan cheese, onion, chili powder and salt and pepper. Mix well. 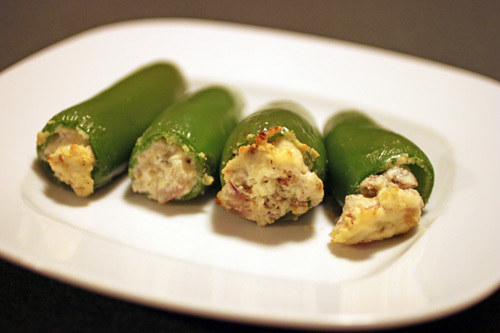 Stuff each jalapeno pepper with the sausage-cheese mixture. 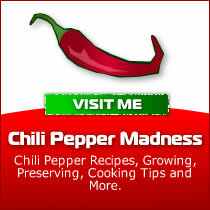 Preheat oven to 375 degrees and bake poppers on a lightly oiled baking sheet about 20 minutes.